I am a retired Full Professor of Entomology of the University of Lisbon (Dept. of Animal Biology) currently acting as investigator at the Computational Biology and Population Genomicsgroup of the CE3C. I received my Ph.D. in Zoology and Applied Entomology from the University of London (Imperial College) in 1978 and since then my main research interests have been studies on patterns of variation and adaptation in selected species of the Cicadomorpha (Insecta, Hemiptera), with a view to a better understanding of a few as yet ill researched and debated issues of biodiversity and evolutionary biology. 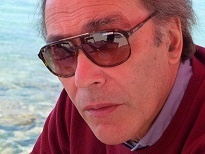 During the last four decades, individually, as leader of past teams or more recently collaborating with young investigators, my research strategies have been based on three main lines of approach: (i) traditional morphological, as well as multivariate morphometric analyses of size and shape; (ii) behavioural (bioacoustic communication) as well as molecular (genetics) surveys; and (iii) ecological studies in islands, natural reserves and artificial environments like vineyards. This has enabled to assemble a large collection of diverse and highly informative data referring to distinct biological levels. Furthermore, such data have permitted both to progress in the broader framework of the Cicadomorpha biodiversity and to test current evolutionary hypotheses dealing mostly with population divergence and speciation. My somewhat diverse current interests continue to be focussed on patterns of variation in cicadomorphs and involves mostly two main outcomes, namely to further describe their biodiversity, and to get novel phylogenetic perspectives on some selected groups.